CURIOUS LITTLE BIRD: Why not celebrate your wedding with a monster? Why not celebrate your wedding with a monster? It's that time of year when weddings are happening. Spring is just around the corner, and everyone wants to tie the knot with the new growth of the coming of the most wonderful part of the year... The year when the cold and snow is over! 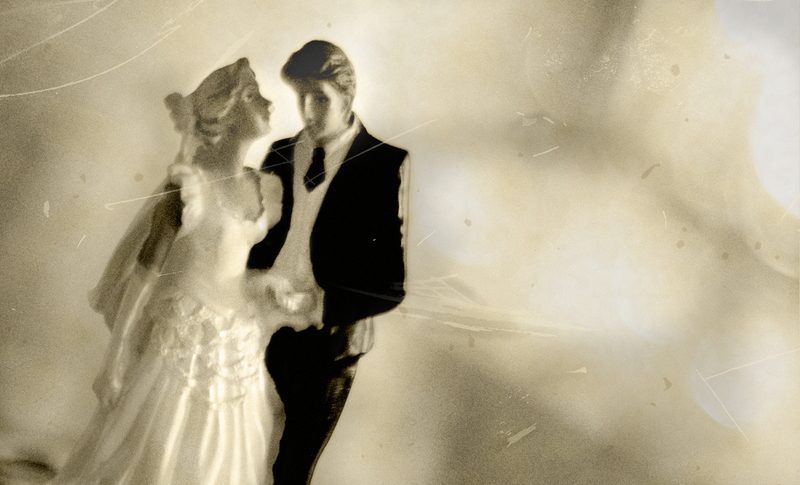 If you're marrying the man (or woman) of your dreams, you're going to want to get her a gift, right? Can I be so bold as to suggest the best, and most creative gift you could ever get your lifetime lover/partner/friend? Have you guessed it yet? A monster! Okay, so monsters aren't for everyone, but if you're an edgy couple, and you really love to buy locally and support your local artists, you could consider Curious Little Bird for your monster needs. 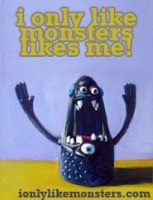 :) I offer ready made monsters in different colours and styles, and I also offer custom made monsters. Monsters that you can customize. 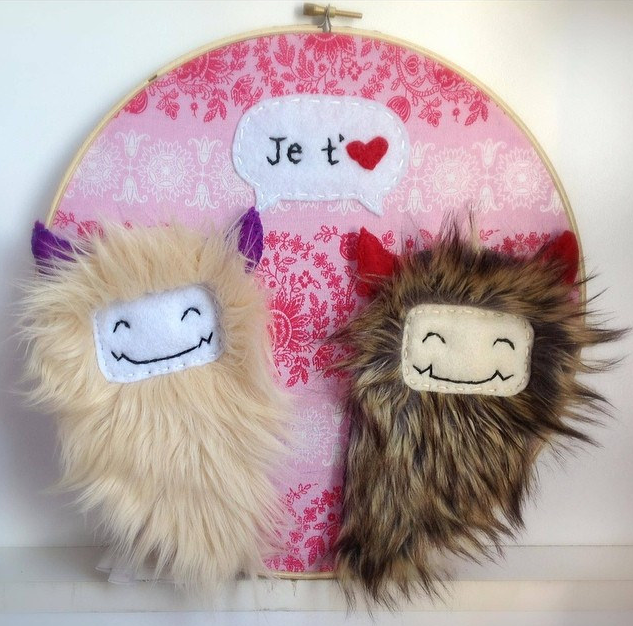 Imagine two monsters, each made to represent you and your wife (or you and your husband). Or even some custom made embroidery hoop (see photo below). This would make a great wedding present.